ONE ONLY - HALF PRICE! 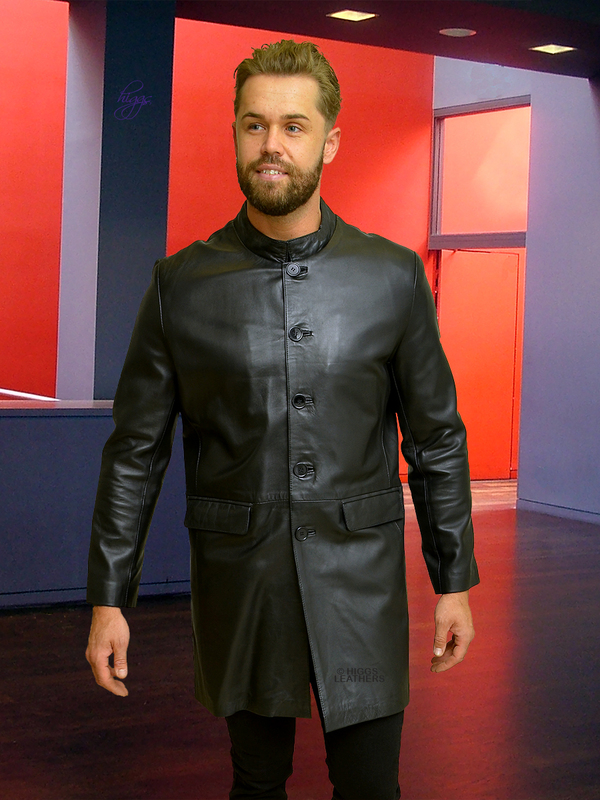 Fine quality 3/4 length men's Black Leather jacket, made from extra soft Lamb Nappa skins. Straight cut body with 14" (36 cm) centre back vent, straight sleeves and small Granddad style collar. Body fastens with button and buttonholes. Two full size outer pockets with Leather flaps that can be tucked inside to give a plainer look plus two full wallet size leather edged inner pockets (one with a zip) and a small mobile phone pocket. Coat length approx. 37" (94 cm).